Snails are interesting creatures to watch and are undemanding pets. They are cheap to house, feed and maintain compared to traditional pets such as dogs and cats, and will not take up much space. Most people can find snails in their own backyard to turn into pets, although some pet stores also sell snails. The advantage of finding your own is that you can return them to their home environment if you get bored with them. An old aquarium makes a good snail habitat; the clear sides let you observe them easily. 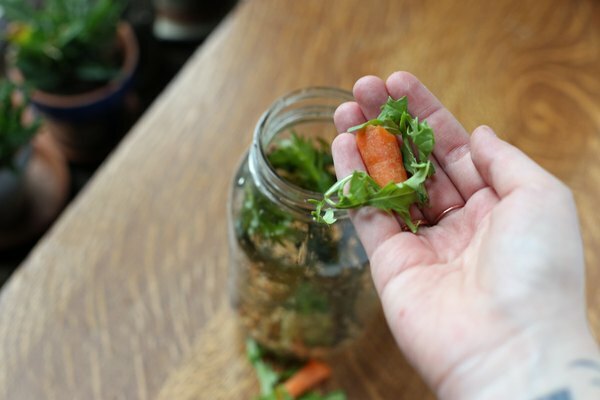 You also can use a large plastic tub, or a big jar. It is important to have a lid or your pet will crawl away, but there must be good ventilation. 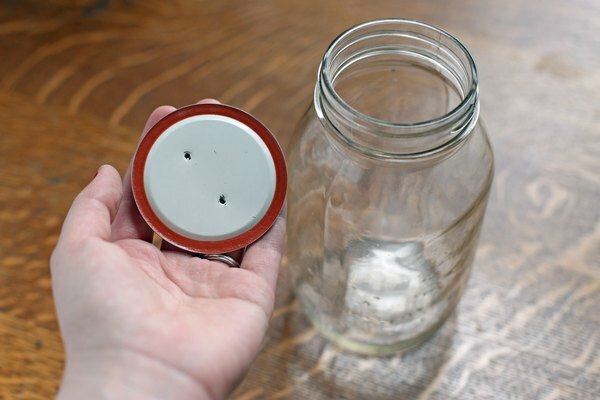 A plastic lid can have holes poked in it to provide ventilation or you can use a piece of gauze or screen mesh fitted tightly over the top of the container. The environment must be kept moist or your snail will not be active. Place a layer of clean soil or potting mix on the floor of the container and keep it moist but not wet. If you only have a small container, you can use moist paper towels. Snails need a hiding place that can be made from a broken piece of crockery, part of a coconut shell or a piece of bark. 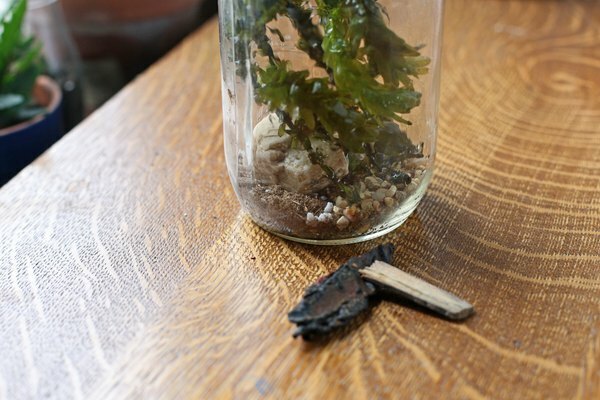 You can have plants or moss in the snail house and should provide water in a shallow dish. Snails are herbivores and can be fed lettuce leaves, cabbage leaves, carrots, cucumber, apple slices and scraps of fruit and vegetables. They also need a source of calcium. You can provide that by a cuttle bone, a piece of plain chalk or eggshells. The calcium is required to keep their shell strong. Water always should be available as snails hate being dry. Uneaten food should be removed after two to three days to avoid mold. 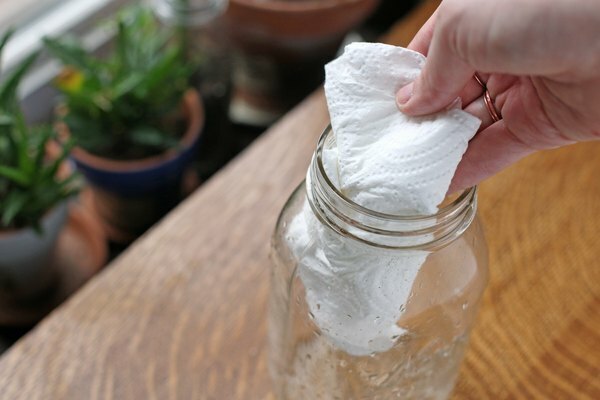 Clean the walls of your container twice a week with water and paper towels. 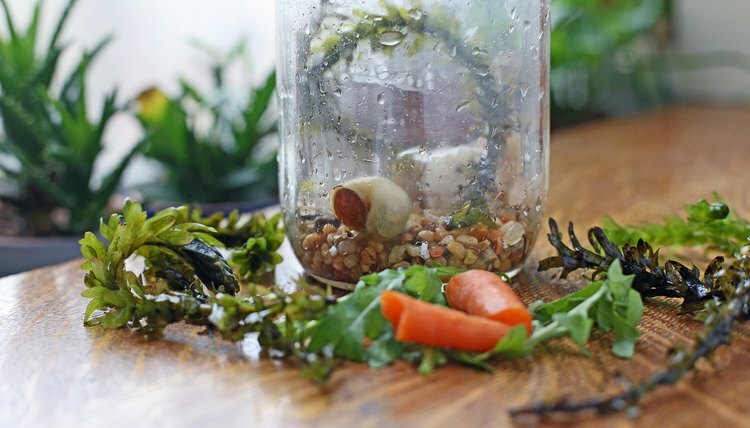 Change the soil if it starts to look unhealthy and every two weeks if you do not want to have baby snails. Snails lay eggs in soil that can hatch after 14 to 45 days. They do not require a mate to do this. Snails respond well to being handled even though they are mainly nocturnal. Wash your hands both before and after handling them. Pick them up by sliding a finger under the muscular bottom half rather than grabbing them by the shell.